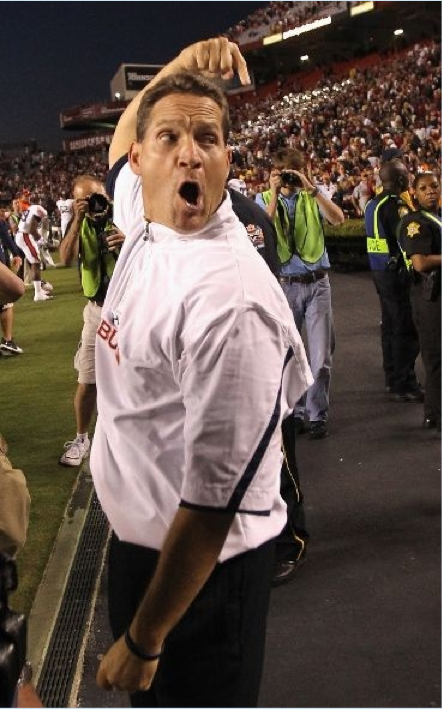 The Chiz has long been the Ultimate Warrior of gameday macroexpression, toutin’ his tonsils come Tiger Walk like no Auburn coach before him. The Chiz showed Steve Spurrier his "O" three times in one year, but he saved the best for last. Also love that he’s showing his contortionist range with that almost Dr. Otto hand action… the man knows his 80s. Related: Gene Chizik’s elevator of champions!